The Spanish tactician will lead the team into his 69th fixture tonight, surpassing Ladislao Kubala’s achievement. 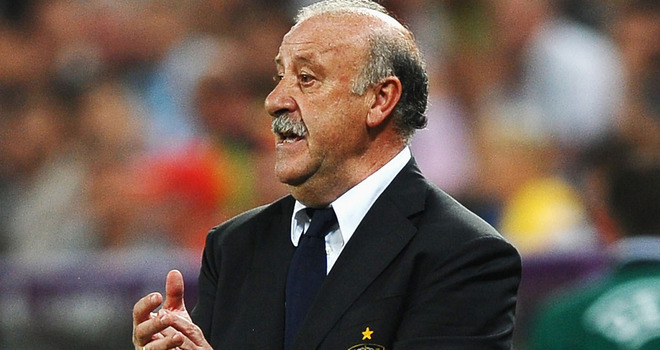 Today’s match between Spain and Finland will be marked by a significant achievement of Vicente del Bosque who reaches the milestone of 69 games as a team’s head coach. Currently La Roja boss is level with Ladislao Kubala on 68 games, though his record is far more impressive with 57 victories, five draws and six defeats during his four-and-a-half-year spell. Sergio Ramos will also be at the center stage today, collecting his 100th cap for the country and becoming the youngest player to do so.